What’s the difference between sweating in the heat and chilling with a Frappé? Just $2! Now available at McDonald’s® and via McDelivery®. Offer valid till 22 July 2015 or while stocks last. Applicable to a la carte Frappes (regular) only and limited to one purchase per transaction in-store. 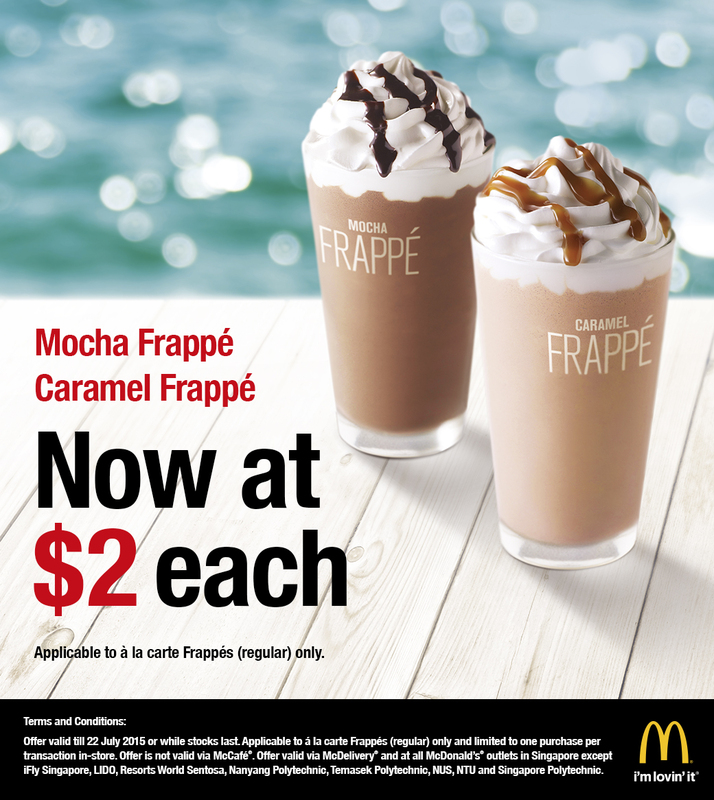 Offer is not valid via McCafe. Offer valid via McDelivery and at all McDonald’s outlets in Singapore except iFly Singapore, LIDO, Resorts World Sentosa, Nanyang Polytechnic, Temasek Polytechnic, NUS, NTU and Singapore Polytechnic.